When a director releases a new movie, you hope to see some form of growth; we expect the same from musicians, authors, and even artists. Depending on your viewpoint, Quentin Tarantino has either grown into one of our generation's most skilled auteurs or a master of pastiche who relies on decade's old techniques perfected by former Hollywood giants. 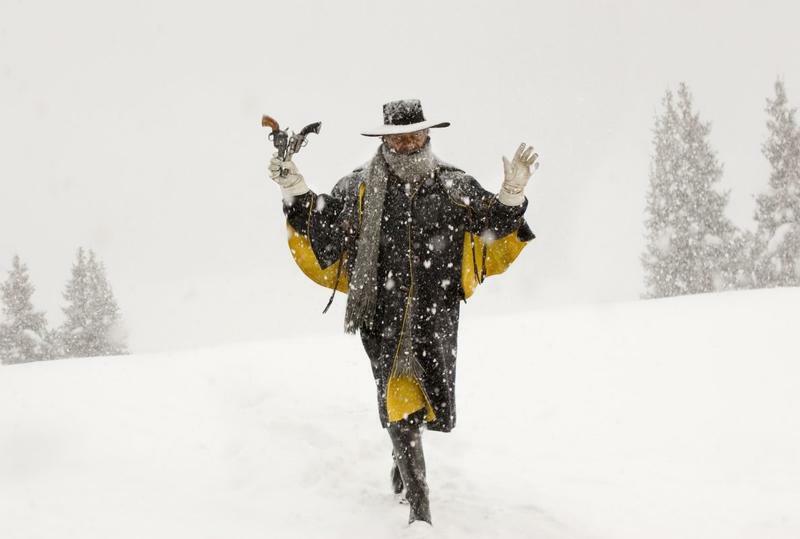 In The Hateful Eight, a sprawling three-hour Western that's racially charged and violent, it's a bit of both. Just know that you need a lot—A LOT—of patience before it gets good. Set among breathtaking panoramas of Wyoming's powdered landscape, The Hateful Eight mixes the Western setting from Django Unchained with the claustrophobia of Reservoir Dogs. (For longtime Tarantino fans, it's a nice nod of career symmetry, whether intentional or not, that he'd use his films as inspiration.) But even though Tarantino riffs on familiar themes and motifs, he has found a way to make them his own—the sign of a talented director; he has his own "style" much in the way you can identify a Wes Anderson picture. 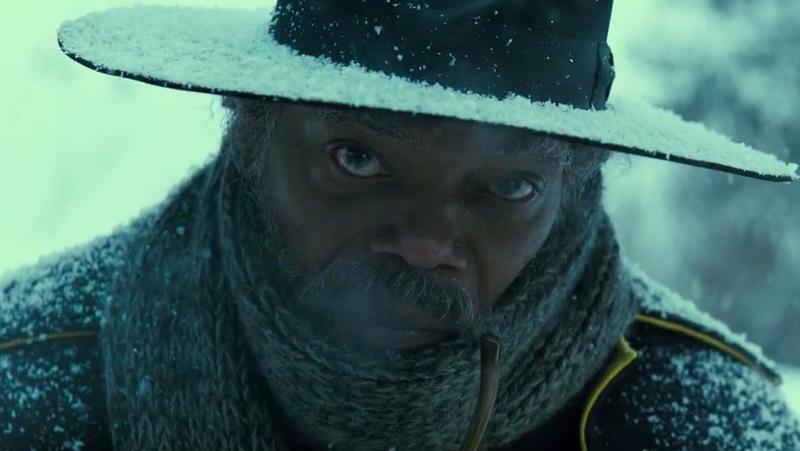 In a lot of ways, The Hateful Eight feels like a natural successor to Django Unchained, a 2012 Western that followed a freed slave (Jamie Foxx) who sets out to rescue his wife from a Mississippi plantation owner. The Hateful Eight uses the same tempestuous time period to explore a darker side of American history—something that's a difficult subject to broach in its own right—and how these tensions manifest into palpable hate especially when you confine a group of nefarious individuals in a small wooden cabin. 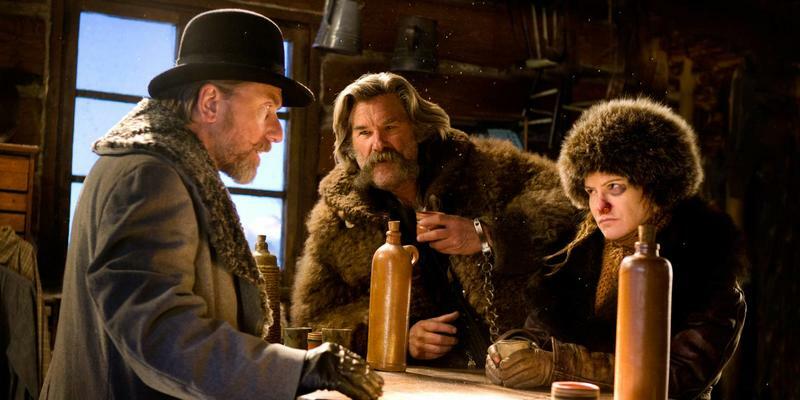 Whereas previous Tarantino films feature one or two likable characters, The Hateful Eight makes a concerted effort to play with conventions by introducing characters who are so unlikable and vile that it feels like we've stepped into a YouTube comment section. There are varying degrees of nastiness to each character, and it's in Tarantino's ability to boil slowly the tension that makes it fun to enjoy a particular character one minute and then hate them the next. Suffice to say, spoiling the movie would do you and the film a disservice because it's not only a wonderfully crafted epic but impeccably shot, too. If you didn't get the chance to view the movie in theaters, the DVD and Blu-ray release will offer the same Ultra Panavision 70mm format, which provides the widest and most detailed image possible. Most films today shoot in ratios of either 1.85:1 or 2.39:1; The Hateful Eight is in 2.76:1 using Panavision's unique anamorphic camera lenses. In the Blu-ray and DVD releases, there's even a neat bonus feature that provides viewers with a guide to the 70mm format, something Tarantino is clearly fond of. "If you're going to shoot your movie and release it in 70mm, it's really the way to go; twenty-four frames a second flickering through a projector, creating the illusion of movement," Tarantino said. Supporting the pristine vistas and extravagant violence is the Academy Award-winning score by Ennio Morricone. It's moody, playful, and perfectly accents Tarantino's opera, which is more like a stage play than anything we've seen from the director. 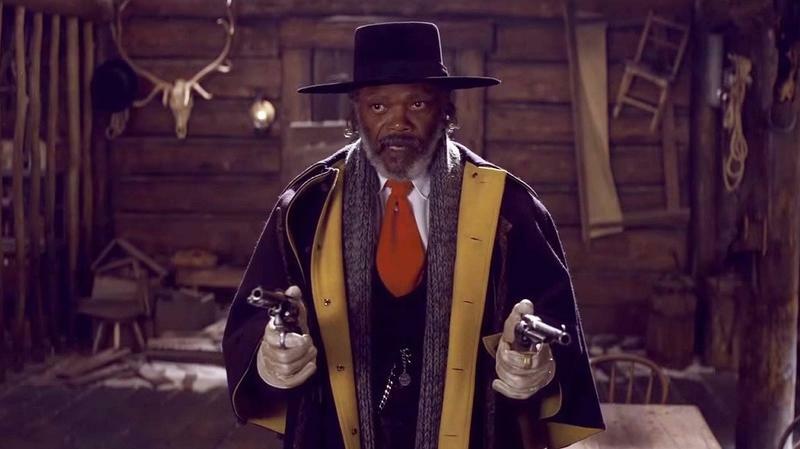 It takes a particular type of viewer (and patience) to really appreciate what The Hateful Eight brings to the table, but if you're a longtime Tarantino fan, you'll find delight in a decidedly unpleasant tale of some truly hateful individuals. The Hateful Eight is available now for digital download and comes out on Blu-ray Combo Pack and On Demand on March 29. In addition to a guide to the 70mm format, the release also includes a fun making-of. Disclaimer: Anchor Bay Entertainment sent us a copy of The Hateful Eight for the purpose of this review.